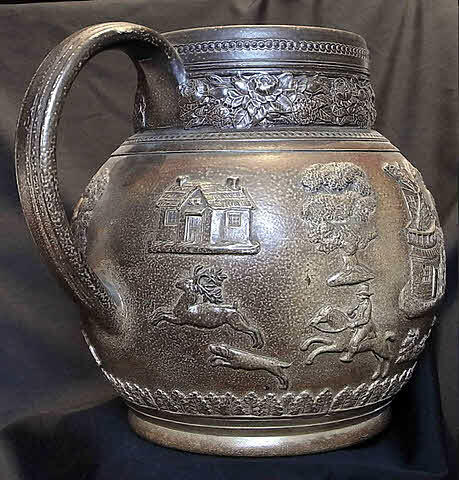 In my opinion, a number of smaller items can now be attributed to Caledonian Pottery through links with a cottage sprig (and possibly others, I am still working on it) found on the giant jug. 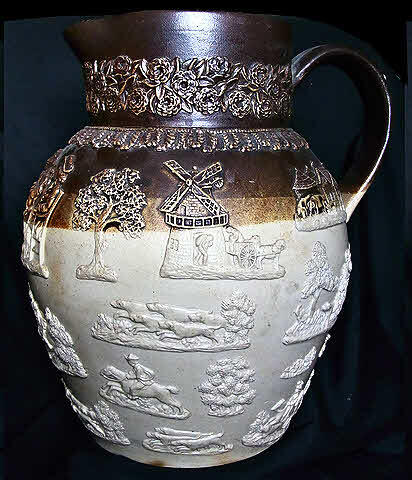 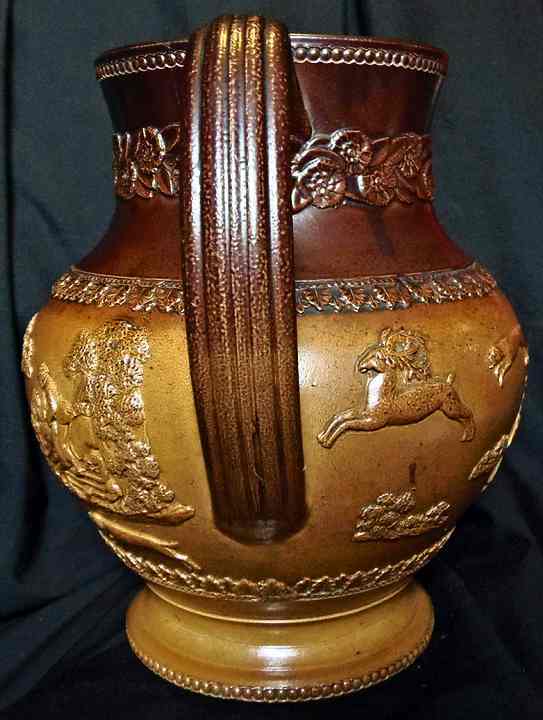 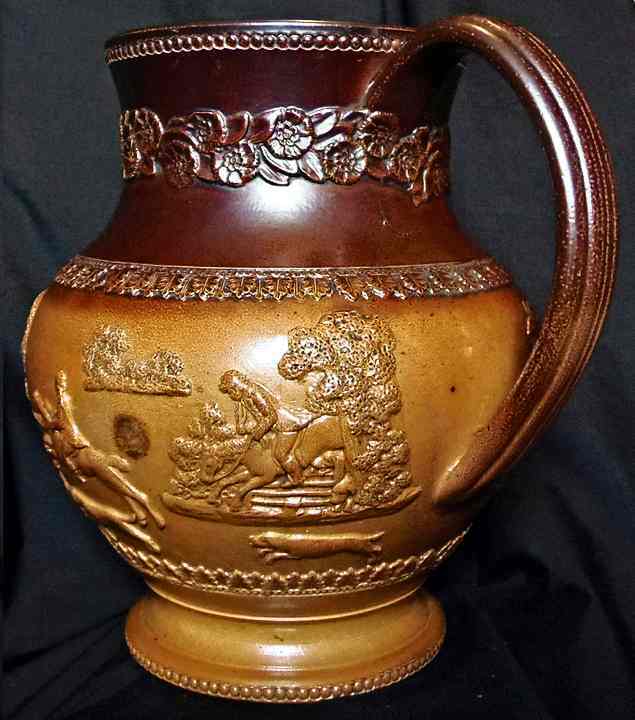 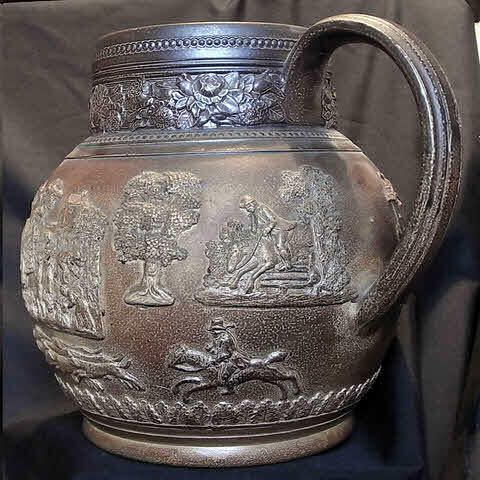 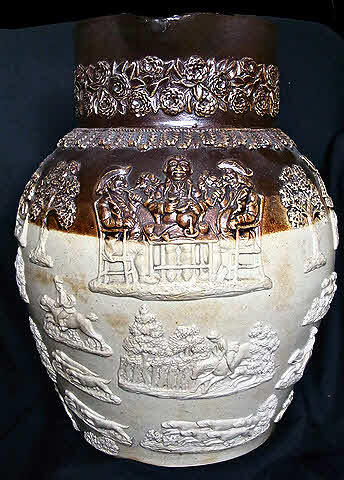 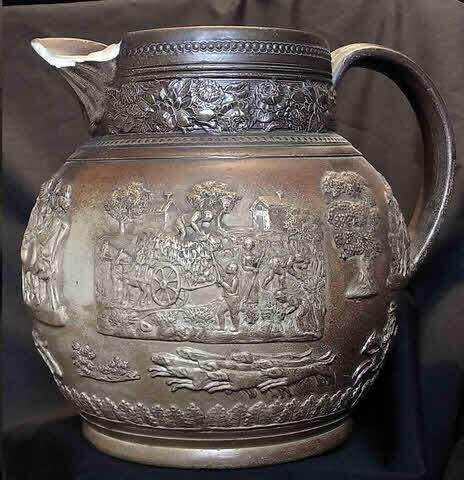 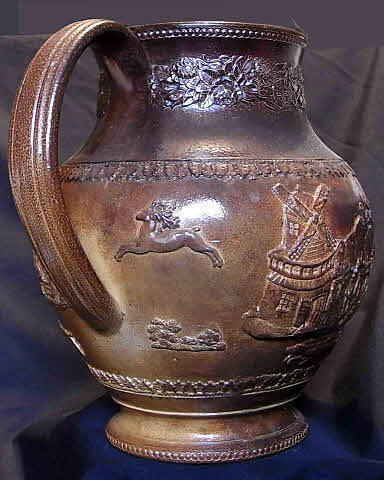 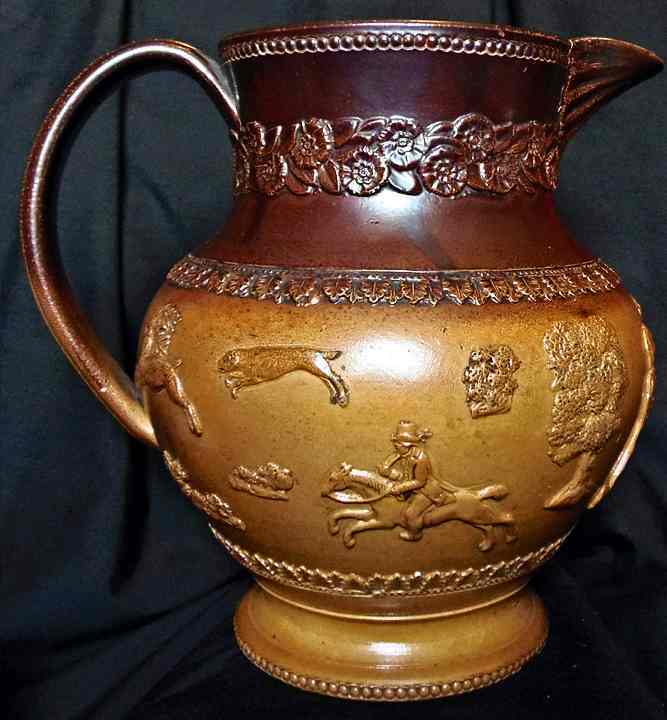 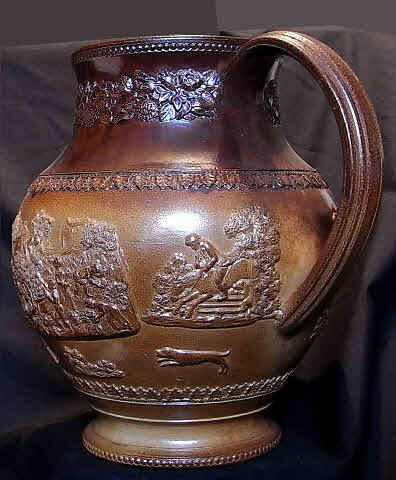 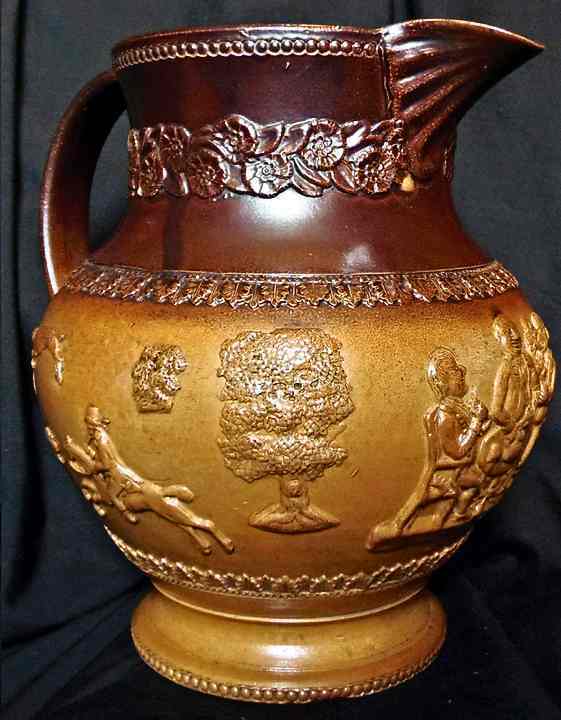 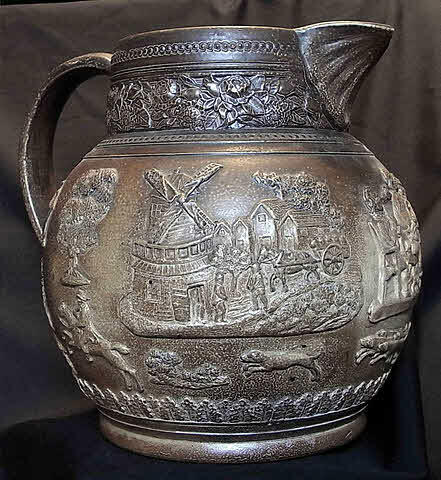 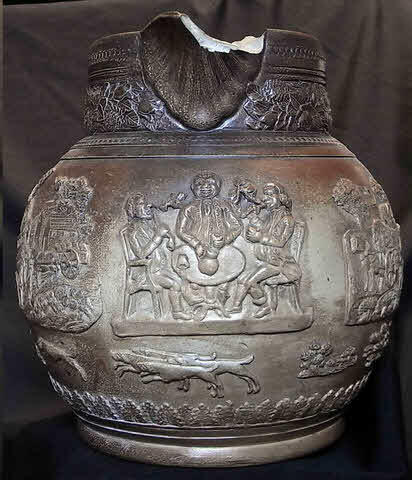 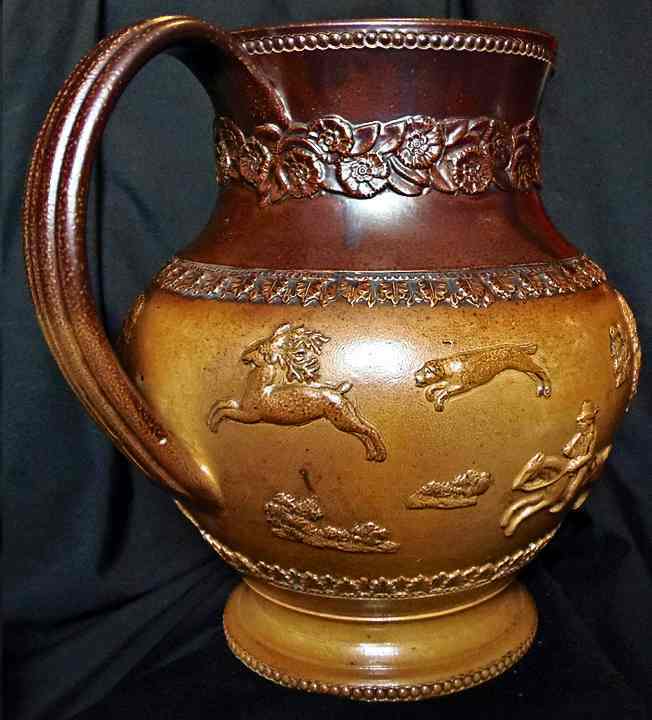 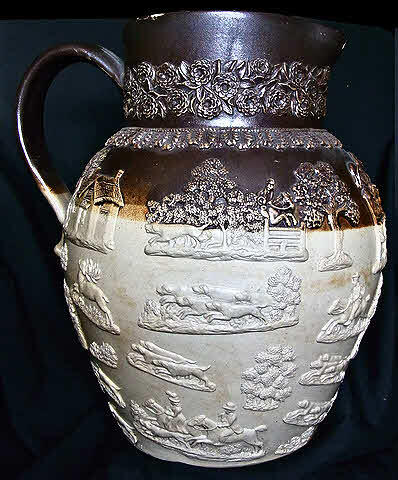 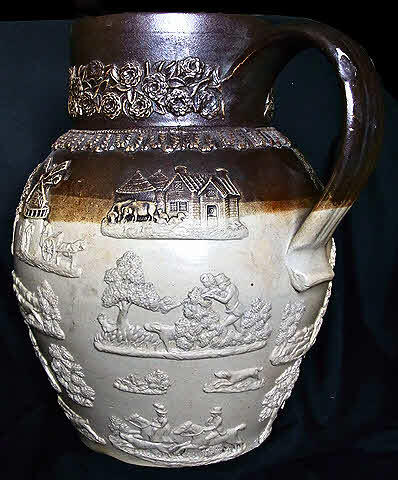 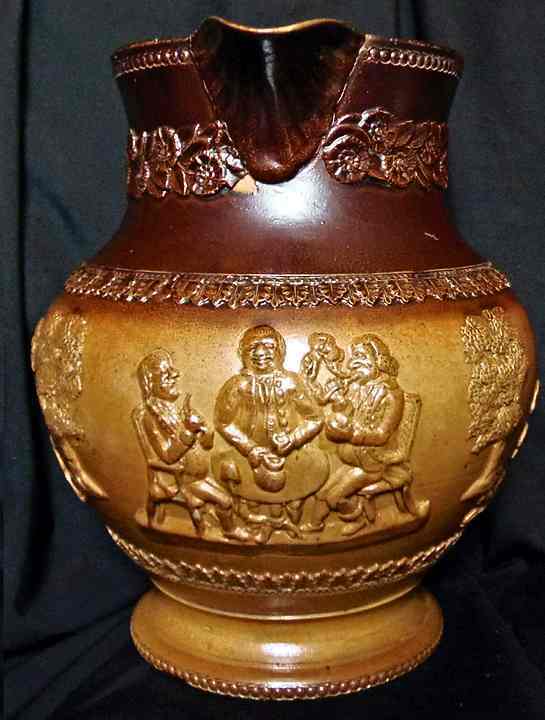 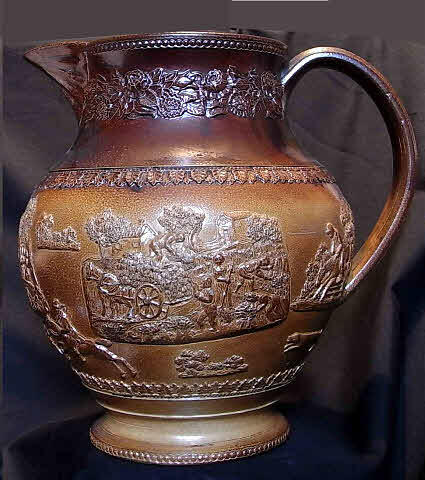 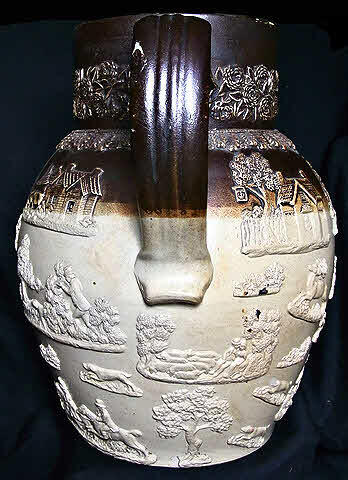 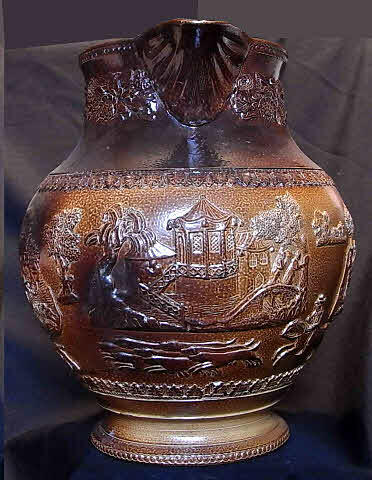 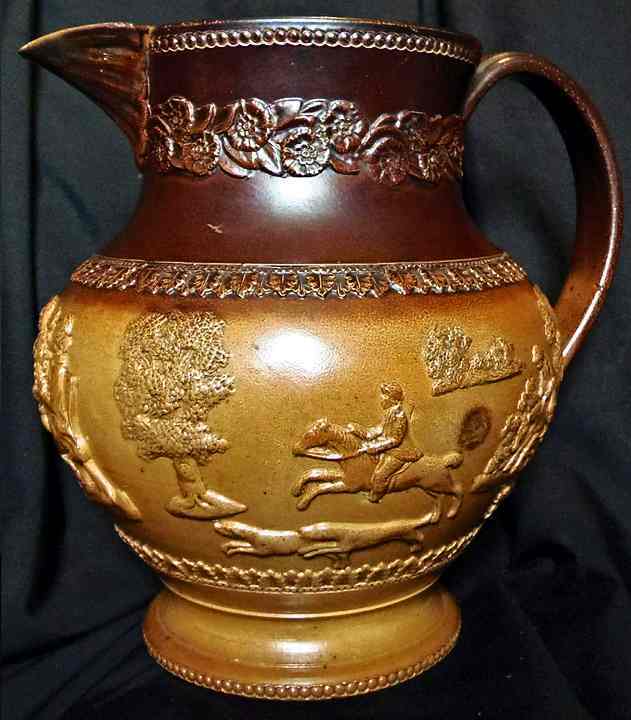 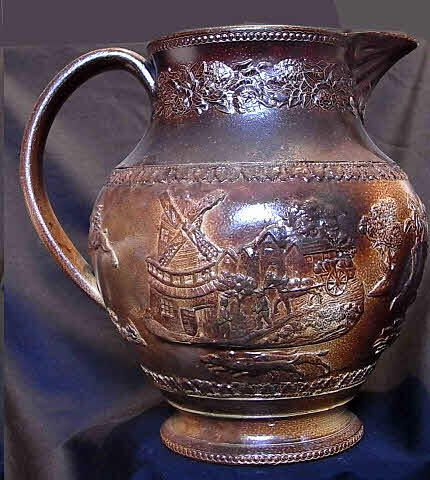 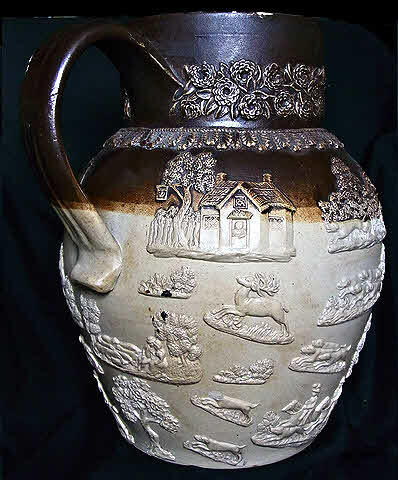 They include the 1820 dated tobacco jar illustrated by Askey (page 136) and Browne Muggs (page 122). 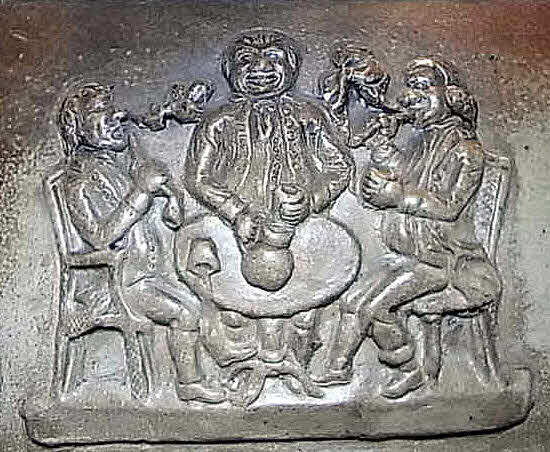 Click on any image to magnify it.